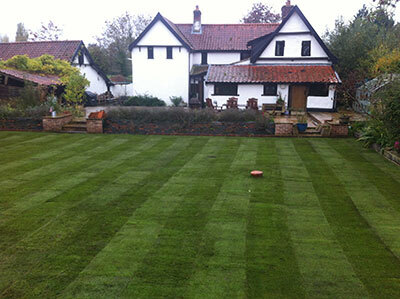 Turf is the fastest way to achieve a new lawn. 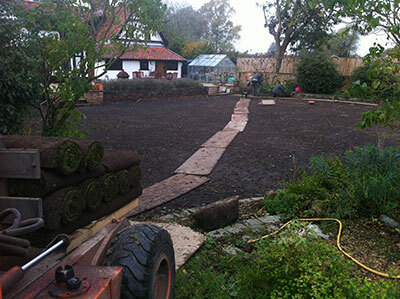 Turf can be laid at any time of the year. Our turf is always freshly cut . Your old lawn surface if grassed will be separated from the soil and disposed of. Your site will then be graded and levelled to remove bumps. 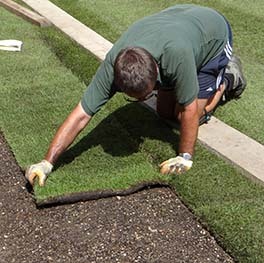 Ground preparation is the key to a great lawn. We recommend skimming with our topsoil/compost blended soil which promotes early establishment and ensure strong growth. Next step is the pre turf fertiliser. 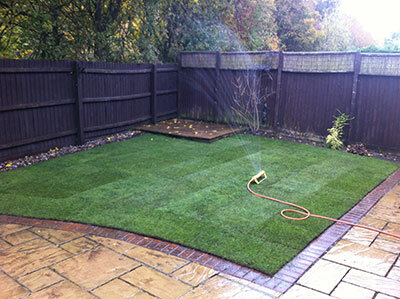 A pre turfing fertiliser at 35 grammes per square metre is applied to the prepared ground this will guarantee strong root growth once the turf is laid. This is low in nitrogen and high in potassium this promotes root growth. 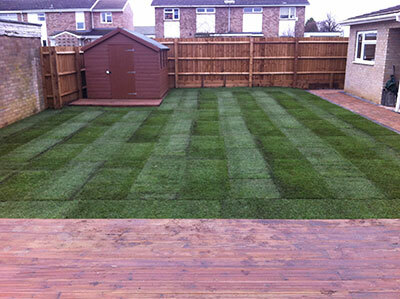 Our turf is cut and laid the same day and is produced locally. We pay close attention to tight closely butted joins and careful trimming. The turf is laid so it looks stripey from day one! The new lawn will just need water to become established. We supply a watering guide with the quotation. 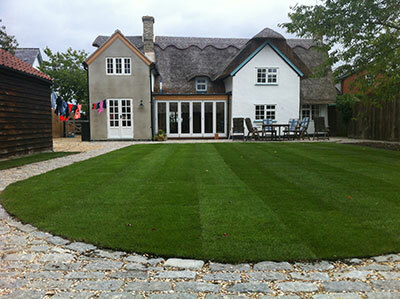 If you are interested in having your lawn re turfed then just contact us and we will arrange to visit and do a site survey. A written quotation for the work required will be sent for your approval. 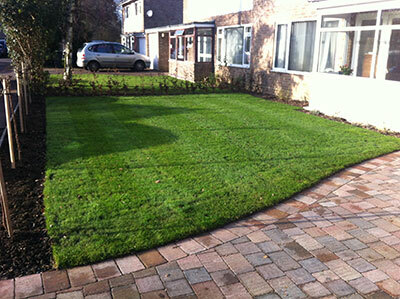 Completed Turf Jobs we turf small medium large and commercial lawns and commercial landscaping work. 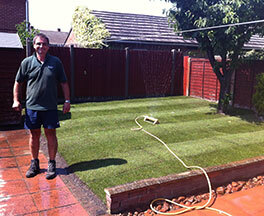 Brilliant Lawns Turf Is Cut Fresh and delivered and fitted the same day.